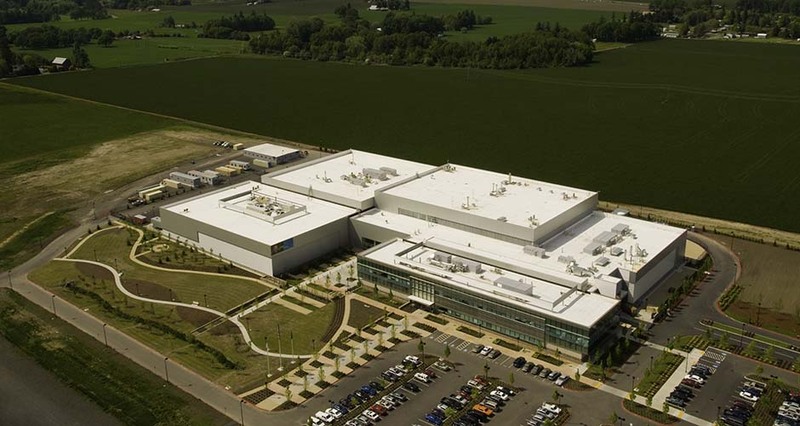 Mackenzie provided site development services for Genentech’s 296,000 SF Hillsboro Fill and Finish (HFF) facility. Initially, Mackenzie prepared alternative conceptual site plans for the approximately 12-acre Phase 1 project within Genentech’s 75-acre parcel. Mackenzie, in collaboration with Flad and Associates, prepared final conceptual site plans and engineering plans and managed Development Review approval from the city. Mackenzie then provided civil engineering and landscape architecture design and construction documents for the project and comprehensive A/E construction administration services. The campus is intended to provide a compelling work environment for Genentech employees by incorporating event plazas, gathering areas, extensive pedestrian amenities, and refined stormwater features. 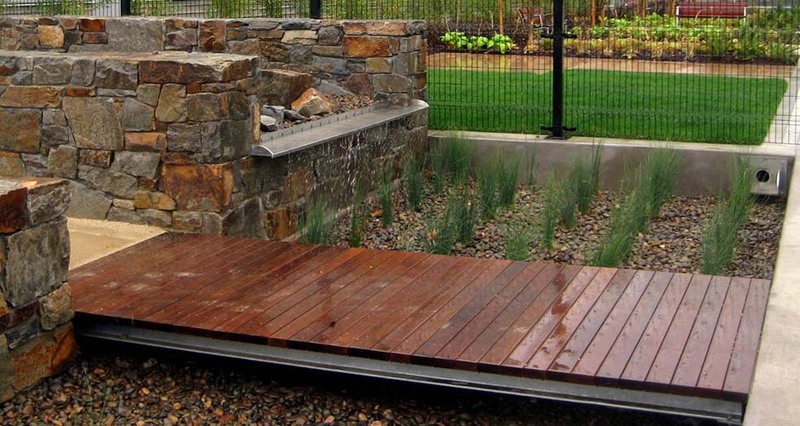 The stormwater treatment system includes an on-site conveyance swale and an off-site treatment pond. Roof runoff is treated through a planted rain garden. 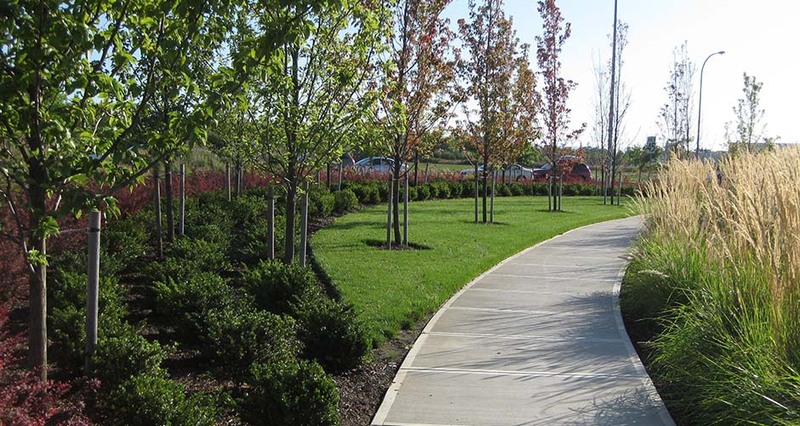 Public/private partnerships between Genentech and the City of Hillsboro Park and Recreation Department and ODOT created passive park and trail improvements within an expanded right of way. The park site is intended to function as a city-designated gateway into Hillsboro and to serve a hub for the existing pedestrian system. Park and trail improvements include meandering walkways, earthen berms, site stone walls, seating areas and extensive planting to create a distinct visual marker.